I finally managed to beat the crowds and add the Anastasia Beverly Hills Contour Palette into my shopping bag before swiftly checking out. It had been on my must-buy list for so long, yet finding this gem in the stores, or online, was pretty darn difficult. But they restocked and I took my chance. And I’m very happy I did, as it has become a much-loved addition to my makeup collection. I use the palette for contouring, powdering, and sometimes highlighting, so for travelling, this is a great kit to take along. Although I generally only use three of the shades in the six pan palette, the banana yellow for setting my undereyes, the lightest beige as a highlight, and the cool brown tone for contour, I still feel this was worth the investment. The other tanned shades work well as bronzers also, and I have often reached for them to add lightly into the very hollows of the cheeks, nearer to the ear, for further depth. So there is definitely a usage for the majority of the six shades, but I still love using just the three main shades for my day to day routines. Whilst I was checking out at Sephora, I spotted the Tartlettes palette and decided to give it a try. With twelve matte shades, in neutral and purple tones, this was bound to be right up my street. And whilst I often love covering my eyelids in shimmer and glitter, there is something so sultry about matte eyeshadows. It can look so chic. Plus the way that this grips onto the lids, and almost forms a coating of product, I love just how mattifying it actually is. I haven’t seen an eyeshadow consistency like this. 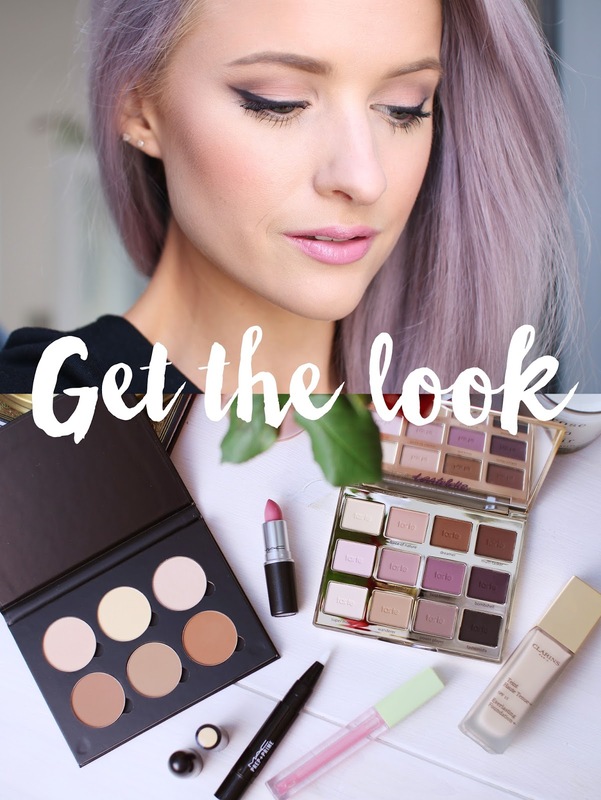 The range of shades though, from creams and white through perfect crease colour browns and neutrals, through the mauve purples, it has something for everyone. I do wish it just had one shimmery champagne in it though. I would be totally sorted then. But otherwise, this is a gem I reach for, a lot. A lipstick I have been meaning to get my hands on for the longest time, and I finally made the purchase. Snob is a mid pink lipstick with blue tones, so the finish is not so candy pink. The consistency is wonderful as you’d expect and leaves a sheen coating. Not too brash and over the top, but still with enough drama as a pink lip. For something more subtle Id go for creme cup, but this just adds a little more pink to the lips, which I love. If you’ve been reading this blog, and watching my Youtube videos for a while, you’ll know I’m a big fan of this. It is the perfect lightening product, for applying underneath the eyes in a triangular shape, to really brighten and illuminate the under eyes. I use this with concealers, as this isn’t technically a concealer. It is as its name suggests, a light booster, and thus can be added with concealer, to lighten where the concealer has concealed. I love this product and am always buying back ups. As I expected, this is a goodie. Honestly though, not my favourite foundation ever, and not one that would roll of my tongue if someone prompted my for my most loved foundation product ever, yet one I definitely enjoyed using. It has a fresh, cucumber like fragrance to it, and in the shade Ivory 103, it is a great match for my lightly tanned skin. It has quite a thick consistency and therefore quite a medium to high coverage, so I felt like my skin was fairly flawless after application. I would say a though, that this is not as yellow toned as I prefer, for example like Deauville Nars Sheer Glow, which I adore. The Clarins Everlasting Foundation in Ivory has a pink undertone, but not to the extent of looking too pink after application. I felt I just got away with it. And again, I think this might be the reason I don’t love it to pieces. I definitely prefer yellow toned foundations to even out my skin tone. So if you’re looking for a new foundation, this isn’t one I’d wholeheartedly recommend, but I would definitely suggest swatching on the counter for the right shade. And finally, the liplift from Pixi. In a cool mint scent and flavour, this gloss style product is used to plump and moisture the lips, for a fuller pout. It leaves a cooling sensation on the lips after application, and whilst it can be used alone, you can apply it over lip colours for a gloss coating. Yet, from experience, I’ve found that applying these alone does the best job, as it enables the product to get to work on drawing blood to the lips, and therefore forming that fuller pout. So over the lipstick, there was not much effect in honesty. Yet alone, I could only mention a tiny tiny amount of plumping. I’ve never been sure on these types of products. I would say, if you’re a girl who loves their lipsticks and fuller lips, perhaps this could be great substitute for a generic clear lip gloss, as you will gain the added bonus of plumping. But would I buy it again? I don’t think so – mainly because I don’t really wear glosses often. Are there any products that you would really like to see a mini review of soon? Perhaps I could add them into a new Get the Look soon?